Combination Horn with brown leather strap. Drinking and Blowing horn in one! 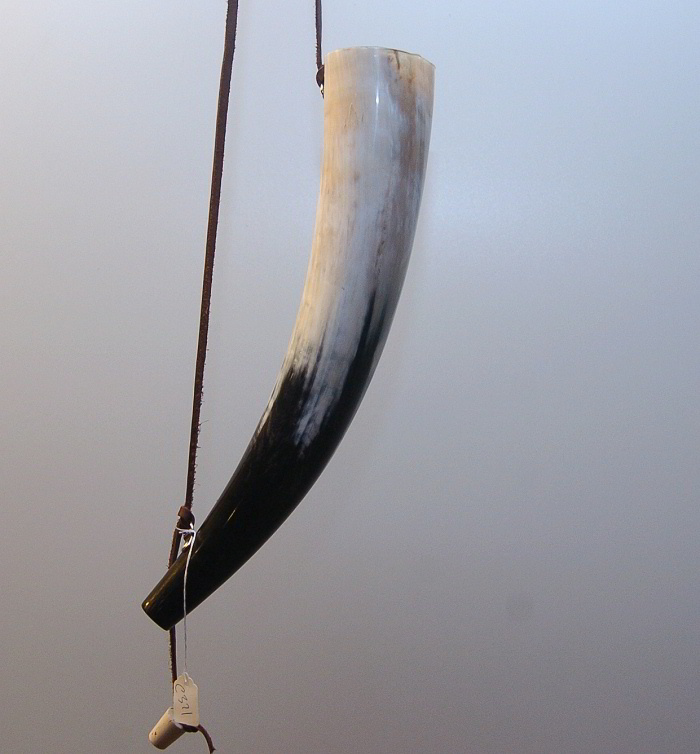 Simply remove the cork after drinking, and use this horn to blow like a trumpet. Produces a loud, rich sound.